Sierra Nevada Corporation (SNC) are in the process of creating a test flight schedule that will reach through to a debut mission for Dream Chaser’s arrival at the International Space Station (ISS). The plan – involving three versions of Dream Chaser – will next involve drop tests of their Engineering Test Article (ETA) at the Dryden Flight Research Center in California. SNC are one of the three companies who won through to the next stage of NASA’s commercial crew program, following their $212.5 million Commercial Crew integrated Capability (CCiCap) initiative award back in August. 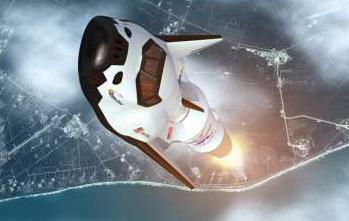 The Agency’s initiative is a competition, with Dream Chaser facing off against two capsules – namely SpaceX’s Dragon and Boeing’s CST-100 – ahead of a down-select that will choose which spacecraft will return a domestic crewed launch capability to the United States. Both Dream Chaser and CST-100 have opted to use the reliable Atlas V as their launch vehicle. With NASA refocused on Beyond Earth Orbit (BEO) exploration goals, the keys to Low Earth Orbit (LEO) have been handed over to the commercial sector – with the Commercial Resupply Services (CRS) contracts already resulting in two cargo resupply missions of SpaceX’s Dragon to the ISS. 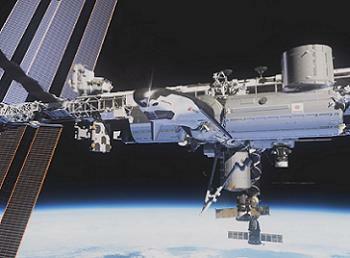 Orbital – via their Cygnus spacecraft – are set to follow in 2013. However, 2012 was the first full year where American astronauts had no option but to hitch a ride to the ISS on the Russian Soyuz, following the retirement of the Space Shuttle fleet in 2011. This highly undesirable scenario is likely to continue until the middle of the decade, before being breached by America’s own blossoming commercial space sector, supported by NASA money and guidance. With even the “contract-wealthy” SpaceX admitting they would not have survived past their early years without NASA’s support, the joining of forces between government and commercial space is an encouraging light at the end of the tunnel, as new spaceships are born out of the premature retirement of NASA’s three world famous Shuttle orbiters. One of those new spaceships – SNC’s Dream Chaser – is winning the hearts and minds of the space flight community, directly associating itself with the re-birth of America’s domestic capability, partly due to its appearance of a “baby” shuttle orbiter. However, spaceships are built on capability, with Dream Chaser holding an advantage by design, simply by being different to its two capsule competitors. SNC class this as “dissimilar redundancy”. Dream Chaser has already flown, with the ETA enjoying its first taste of the outside like most youngsters – on the end of a safety harness. That event was the Captive Carry test near the Rocky Mountain Metropolitan airport, lofted on the end of a tether by a Sikorsky Skycrane helicopter. T he results of the test were fed into the planning for the final CCDev-2 (Commercial Crew Development) objective of a high-altitude free flight, or “drop-test”, involving the vehicle riding with a carrier aircraft, such as a helicopter, before being released for a landing attempt at Dryden at Edwards Air Force Base in California. “The Dream Chaser ETA will leave Louisville, Colorado for Edwards Air Force Base prior to the scheduled free flight/drop test. The final date is still to be determined. The test will be conducted in conjunction with NASA Dryden,” noted Mark Sirangelo, Sierra Nevada Corporation’s Space Systems Corporate Vice President to NASASpaceFlight.com. 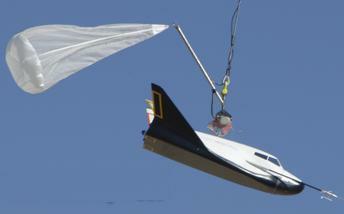 SNC also noted that Preparatory work has already begun on the next Dream Chaser, known as the Flight Test Article (FTA). While Mr Sirangelo noted the future activity of the FTA will be determined on the results of their previous flight tests, this vehicle will likely be the Dream Chaser involved with unpowered high altitude, approach and landing testing. This stage of testing will be historic for several reasons, not least because it mirrors the early days of the Space Shuttle Program, when Enterprise carried out her ALT (Approach and Landing Tests) at the same Dryden facility back in the late 1970s. This historic commonality is not lost on Mr Sirangelo. 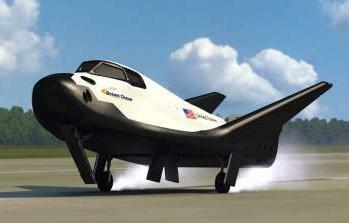 SNC added they are also determining the forward path for both the FTA and the third Dream Chaser – known to be the Orbital Vehicle (OV) – meaning there is no official word on whether the FTA will be the first Dream Chaser to fly a test flight in space, ahead of the OV which will be the Dream Chaser capable of carrying out commercial crew missions to the ISS. Regardless, SNC are continuing to make impressive progress in positioning their Dream Chaser Space System (DCSS) as a viable option to remove the reliance on Russia to launch American astronauts to an orbital outpost that was mainly constructed – and paid for – by the American public.